There are no specific recipes for keeping garage doors stable and strong for a lifetime. Of course, if you follow the path of logic, it makes sense to consider that the more you take care of them, the longer they'll last. 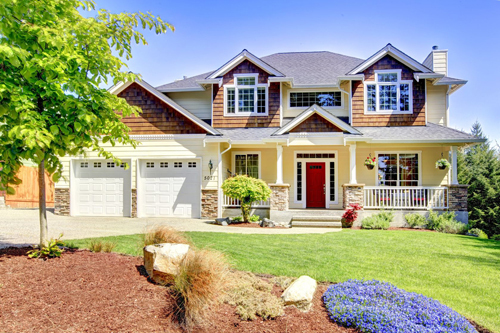 The truth is that many variables interfere and would change the expectations of the most diligent homeowner since abrupt problems and unexpected natural phenomena may overturn your anticipation to grow old along with the garage system. It goes without saying that regular garage door maintenance will prolong the life span of the system but then again there will come a time when some components will have to be replaced. Don't forget that they all have limited lives and the secret of keeping them longer is inspecting and repairing them often. The truth is that some garage door parts need more attention and, in fact, they must be replaced before their life approaches the end. As a matter of fact, springs would become a threat if you keep hoping to keep them a while longer and it's best to change them before they snap. On the other hand, frequent troubleshooting and maintenance as well as slight garage door repairs occasionally would keep cables from getting loose or tracks from getting dented. Lubrication will keep the mechanical parts stronger and upgrading the opener will reinforce the overall strengths and security of the garage system. Of course, you must never forget that the material also plays an important role to the overall condition of the system. Each material would have a different reaction to the everyday use of the system and will be affected in a different way by natural elements. 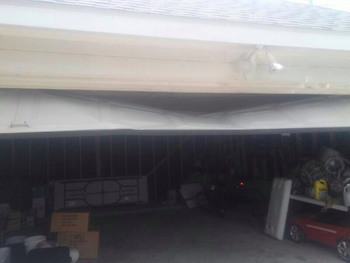 That's why it's important choosing the right panel when you replace the existing garage door. Taking care of wood or steel with good varnishes intended to keep them resistant will help wooden panels from warping and steel from eroding. As an overall, garage doors can last for over twenty years but in between you will be called to make some changes, upgrades and improvements as well as maintain the system with good products and efficiency.